The class representatives (one or two per class) act as liaisons between the teacher and the parents in that particular class. Responsibilities include rotational attendance at PAC meetings, contacting parents and planning special activities (including the ‘welcome coffee party’, the ‘end of year class celebration’, group gifts for teacher, etc.) for parents and children in the classes, arranging baking for special days and assisting teachers as required (on field trips, collating Scholastic Book Orders, volunteering in the classroom to support Units of Inquiry or reading practice, etc.). This parent representative attends monthly DPAC meetings and presents highlights to at West Bay PAC meetings. He/she also helps in assessing memos, notices, etc. from educational sources and communicating their content and impact to the rest of the parent body. Time commitment will vary with individual’s background and amount of material received in any one year. Attendance is also encouraged at District Educational Forums that are scheduled throughout the year. Many volunteers are needed to organize and distribute nutritional choices to students each Monday, Wednesday and Friday throughout the school year. This is WBPAC’s main vehicle for raising funds to cover annual operating costs. This important committee works on initiatives with the Principal to ensure the safety of students while traveling to and from school. They work on incentives to encourage active transportation and organize crossing guards at nearby crosswalks. The committee also reviews drop-off and pick-up procedures. Parent volunteers are needed to plan and organize West Bay’s entry into the annual Community Day Parade (every other year). 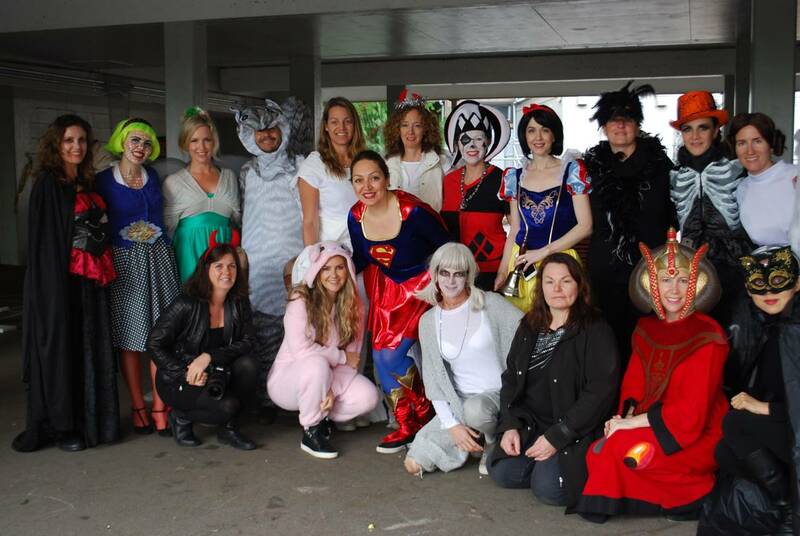 West Bay staff liaises with the Community Day Parade Committee to prepare simple costumes, artwork or songs that may be required. Parents of children in Grades 3-7 are encouraged to become involved in West Bay’s Running Club. Responsibilities include volunteering to help out at the four district-wide Cross Country competitions held Tuesday afternoons at Ambleside Park from mid-September to mid-October as well as running with staff and students during practices at West Bay Monday and Thursday mornings. Notices about the Running Club will accompany the ‘Welcome Back Newsletter’ that is sent home the first day of school. In addition to the funding provided by the West Vancouver School Board, the West Bay Parent Advisory Council contributes funding on a regular basis so that we can offer students up to three events each year. This enables programs that include dance, puppetry, opera, mime, drama, music and storytelling to perform at the school. If you have information about a group that would provide an educational experience for students, please pass along the information to the school. Parent support with the development of reading skills is always appreciated. Drop Everything and Read (DEAR), a school-wide reading program, is one opportunity that helps develop reading fluency and a positive attitude toward reading. Noisy reading also occurs in many primary classrooms. We like to involve parents in our reading programs and appreciate our parent volunteers who listen to students read aloud. If you are able to assist, please contact your child’s teacher. Join with many other parents the fun in decorating the gym and the halls for various holidays and special occasions. This team of parents also help with preparation of the backdrops for our musicals. For the upcoming school year, the primary students will be performing a concert in December. West Bay has a process in place to address emergencies at the school. One or two parent representatives are needed to ensure the school’s supplies are regularly checked and updated. Please contact the school if you can assist in this area. Be a part of a committee to explore the need for fundraising, to aid in the implementation of fundraising activities, or to plan and hold a bi-annual Auction. In these large fundraising events, volunteers are required to keep extensive financial documents and provide a financial report for publication to West Bay parents. Each year parent volunteers are needed to assist with the selling of Spirit Wear and Physical Education (gym) clothing. Parents are needed to prepare refreshments at coffee parties and occasional evening meetings (for example, guest speakers). Library assistants perform duties such as checking in books, shelving and filing. Work bees are held periodically to complete specific tasks such as taking inventory or bar coding. Grade 6 parents organize the refreshments for our graduates and guests. Parents are needed to help deliver nutritional snacks and generally assist with Sports Day. With other West Bay parents, help plan the renowned social events such as the Family Dance, Bingo Nights, Auction and Staff/Parent Volunteer Luncheon. This program utilizes West Bay’s voice mail system to ensure that all children have arrived at school or are otherwise accounted for. Call back requires one half-hour on a rotational basis from 9:15- 9:45 a.m. Volunteers are asked to phone parents/guardians of students who have not arrived at school and have not left an absence message on the call back line. Remember, parents, the call back phone number is: 604-981-1234 then school code 1260 then 2. Or you can email Sue Barrie to notify the school of your child’s absence (sbarrie@wvschools.ca).